Photo for Navigon — agile dimension inc. 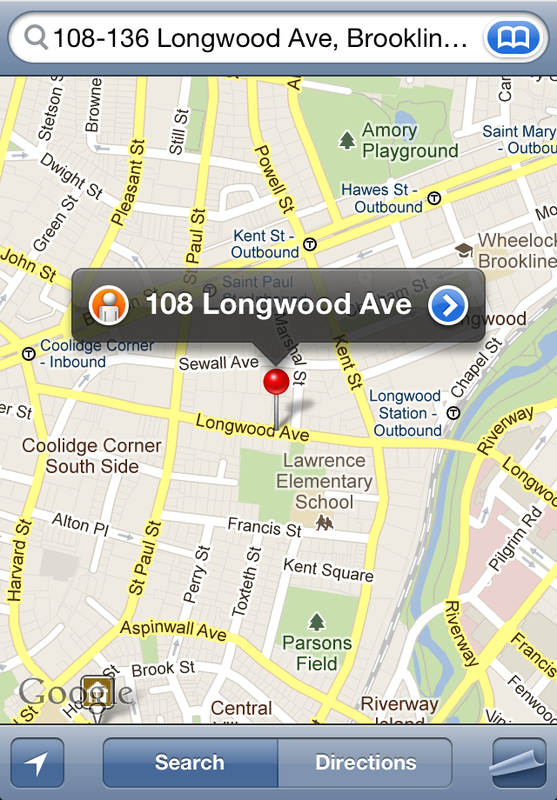 This app lets you navigate to the location where a photo was taken. 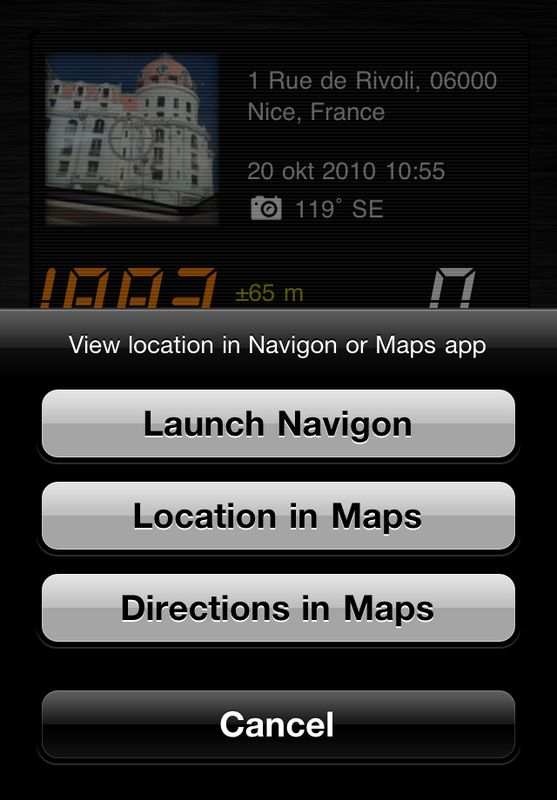 Open a photo and then launch your Navigon MobileNavigator with a simple tap and start driving! 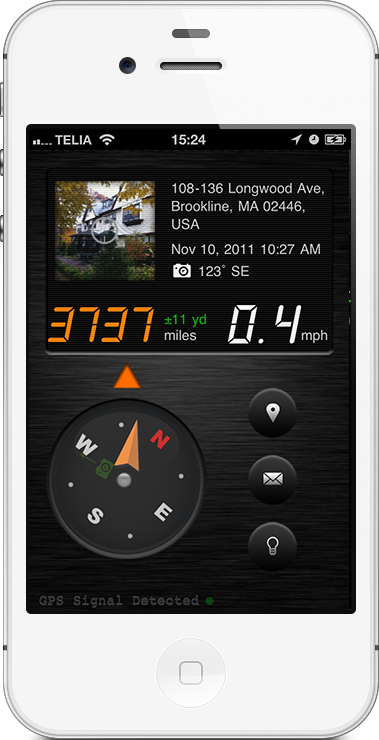 You may also use it as a standalone app and navigate with just a compass and direction pointer. It even lets you open the 'Maps' app so you can compare Navigons route suggestion with the 'Maps' app. This app can be used as an add-on to the Navigon app or just by itself. This app is in no way affiliated with Navigon and it's great MobileNavigator app. It has currently been tested successful with MobileNavigator v2.0 and older versions. You need to purchase Navigon MobileNavigator to use this feature. The app also displays the direction and air distance to the photo location. It shows the address and the magnetic direction of the cameras lens at the time of the photo was taken. It displays the date and time it was taken.